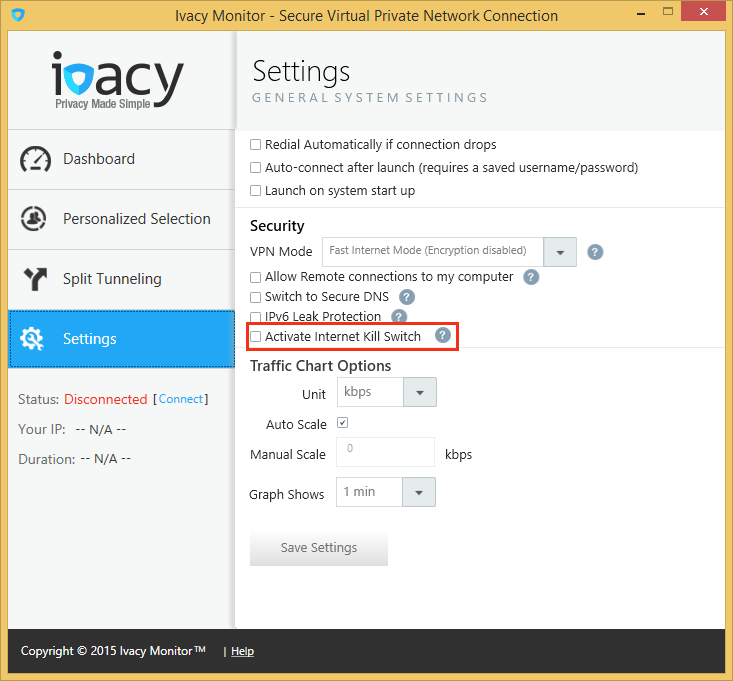 Right click on Ivacy Icon and click “Run as administrator”. Click ‘Settings’ in Ivacy’s Windows dialer. Under Security, select “Activate Internet Kill Switch”, by ticking the check box. After selecting Activate Internet Kill Switch, two more options i.e. 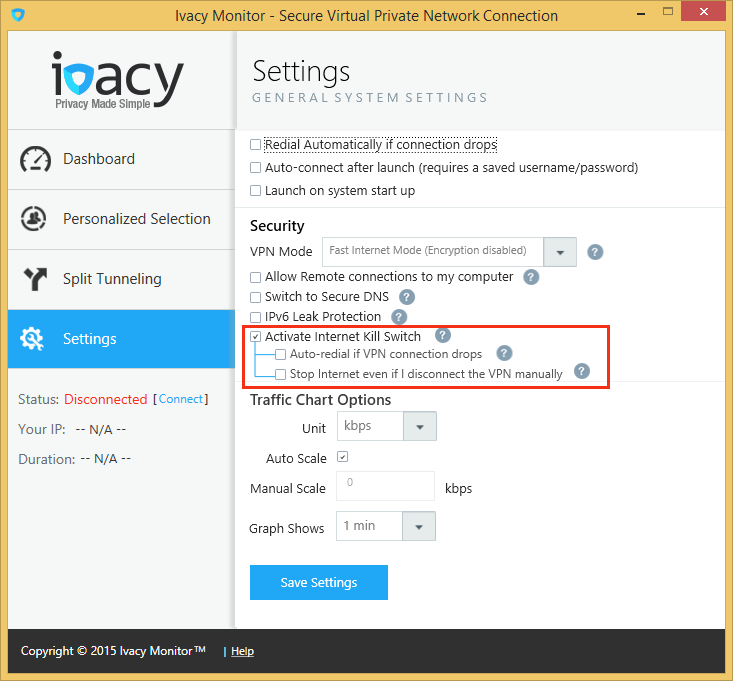 “Auto-redial if VPN connections drops” and “Stop internet even if I disconnect the VPN manually” would be visible. Select them if you want to enable them and click “Save Settings”. Now connect and enjoy Privacy with Ivacy. Note: If you always want to run Ivacy as an Administrator, then open Ivacy properties; under “Compatibility” tab, select “Run this program as an administrator”.